Whether you’re under investigation, or you’ve been arrested and charged with a crime, the right attorney can make all the difference. It is important to find a criminal defense lawyer or DUI lawyer that will protect your rights from start to finish. Pittsburgh criminal defense attorney David Zuckerman is a former prosecutor and judicial law clerk familiar with all aspects of the criminal justice system. As the founding criminal attorney at the Zuckerman Law Firm, David has quickly earned himself a reputation as one of the best criminal defense attorneys in Pittsburgh – respected by both past clients and his peers for his experience, compassion, tenacity, and strong presence in a courtroom. Having prosecuted and defended those accused of crimes, we understand that good people make mistakes and are falsely accused of crimes everyday. Our firm has represented doctors, lawyers, college and graduate students, teachers, nurses, business professionals, contractors, military veterans, juveniles, the disabled and people from all walks of life. Our highly-rated criminal defense attorneys represent those accused of felony, misdemeanor and summary offenses throughout Pittsburgh and Western Pennsylvania, which include DUI, Drug Possession and Trafficking, traffic violations, underage drinking offenses, firearms violations, assaults and theft. Our primary goal in every criminal case is simple: fight for a dismissal of your charges or the best possible results. Whether it's going to trial or seeking a plea deal, our focus is always on reducing charges and minimizing penalties so that you can move on with your life. 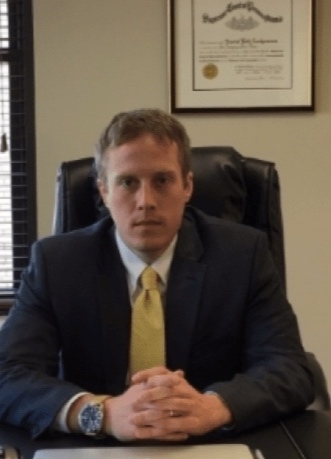 For the defense, as results-driven Pittsburgh criminal defense attorney who has successfully represented clients in state courts throughout Western Pennsylvania. More than anything, I understand that results matter. As a criminal attorney seeking the best result in every case, it is critical to know when to negotiate and when to fight. I will file and argue pre-trial motions and take your case to trial if needed to pursue your case goals. Having worked alongside prosecutors and police officers, I will comprehensively examine your case and strike a plea agreement only when it is in your best interests. When you call my office, your call will never be screened by a paralegal or answering service. I will not make empty promises to earn your business. From the time of your initial consultation through the end of your case, I will provide you with honest guidance from start to finish. Over 70 independent 5-Star Ratings on Google, Avvo and related attorney websites. Facing a Criminal Case in Pittsburgh or Western Pennsylvania? Don't Settle - Hire the Right Criminal Defense Lawyer for Your Case. If you’re suspected of committing a crime, or have already been charged with an offense, contact the Zuckerman Law Firm right away. DO NOT speak with law enforcement officials without your criminal defense lawyer present. Everything you say can and will be used against you. DO NOT make it any easier for the government to convict you. While it may be tempting to explain what occurred, always remember that law enforcement’s main objective is making an arrest and putting someone behind bars. If you are contacted by law enforcement, politely tell them you wish to remain silent and speak with your criminal defense lawyer. It’s that simple. If you’re arrested or under investigation in the Western PA area, and you need a Pittsburgh criminal defense lawyer, contact the Zuckerman Law Firm at (412) 447-5580 for a consultation. This telephone consultation is completely free of charge and we have availability on both evenings and weekends for your convenience.